We are pleased to announce the release of the Judex+ website. In order to find out more about the project and our current activities click here - http://judex.uncrcpc.org/. On June 16th and 17th 2016 the 2nd meeting of partners of “JudEx+: Towards a child-friendly justice in cases of sexual violence against children“ was hosted by CESIE in Palermo, Italy. The meeting gathered the co-ordinator of the project: the humanitarian and independent institution “Hope For Children” UNCRC Policy Center and the cooperating: Know & Can (BG), Frederick University (CY), CESIE (IT), Folkuniversitetet (SE), University of Primorska (SI) and Rinova (UK). The meeting was an opportunity to present each partner’s findings on the Focus Groups with stakeholders regarding theirs views on country specific judicial proceedings in cases of sexual violence against children and on the child's perspective of judicial proceedings. The report of Know and Can Association from Bulgaria can be found here. Following the successful focus groups held in each partner country to discuss the child’s experience of judicial proceedings with professionals from the law enforcement, judicial system, social welfare, education and health sectors, the JudEx+ consortium gathered. 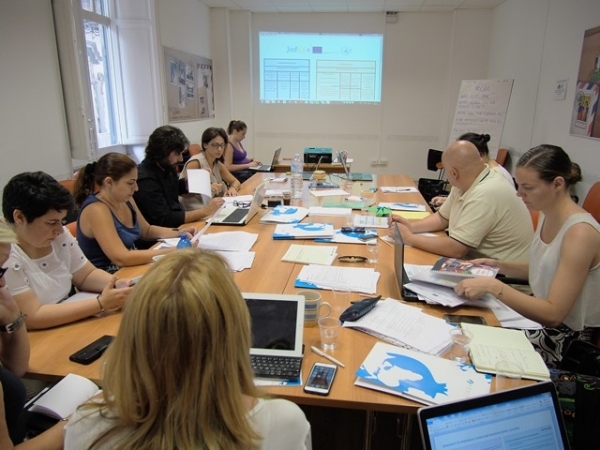 The project partners compared what has been developed in terms of research in their respective countries, giving life to an interesting debate on the issues of justice and have brought contributions and reflections on the construction of a training course for legal, health and education professionals. This course, to which has been paid particular attention in the second day of the meeting through in-depth workshops, is designed to strengthen – and where non-existent to build – skills and knowledge of judicial operators who are linked to the child, whether they are social workers, judges, lawyers, teachers, as well as to ensure a better experience of children who access the justice system as victims of sexual abuse through an approach that takes into account their social context and the needs related to their personal development but that also goes in the direction of a child-friendly information strategy regarding their rights and the legal processes, through the development of specifically designed materials. We will send further updates through the project newsletter and on the project website. You can subscribe to the newsletter or request information about the project and other activities by contacting our team. 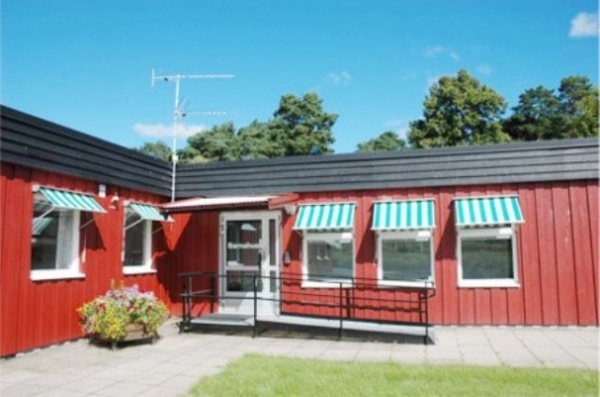 Children’s house in Linköping, is one out of 30 children’s houses in Sweden. With their location close to the hospital, police and the prosecutor along with their good collaboration, they represent one of the best practices in Sweden. The environment in the center is adopted to a child, they have waiting rooms for different age groups, medical examination rooms, interviewing rooms and several meeting rooms. Permanent staff in the Children's House is a team consisting of coordinators, psychologists, two social workers and a team assistant. The aim of the center is to coordinate the work of law enforcement, child protection, medical, psychiatric and other agencies. In addition, efforts are made to ensure that only a single interviewer is used to obtain information from a child. Child advocates, policymakers, prosecutors, judges and other legal professionals need to work together to develop ways to increase the collaboration of all parties involved in CSA cases, while at the same time trying to work toward producing the fairest possible legal outcome. JudEx+: Towards a child-friendly justice in cases of sexual violence against children has been funded by the Rights, Equality & Citizenship Programme of the European Union. The authors are solely responsible for the contents of this report. It does not represent the opinion of the EU and nor is the EU responsible for any use that might be made of information contained in it.